Study Overseas. 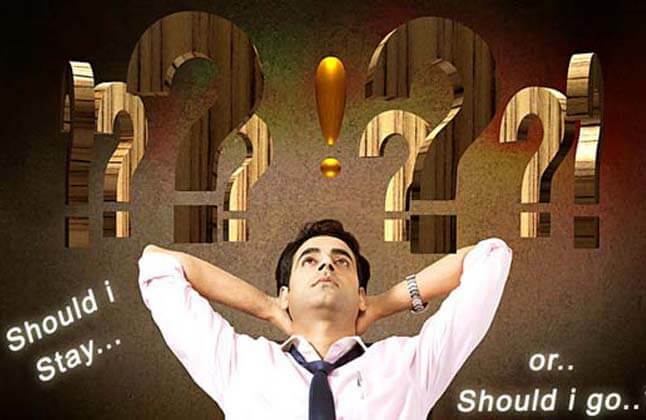 Edwise International and Know more about -Should I Stay or Should I Go? Edwise International helps you to take admission in best Colleges or University in Abroad for Studies. Our consultants will help/guide you to apply for admission to Study Abroad. Know Tips for International students to study abroad with the help of with the help of Edwise International Read our blog / Articles for latest updates and news and to know information about Study Overseas Enquire now 18002003678 for more details and Information. While parents may have reservations of sending their child away to a foreign country, there are several benefits that come with studying abroad. Whether you choose to study at an undergraduate or university level, a study abroad program will benefit you in several ways. It allows you to communicate across different cultures, and simultaneously boosts your overall personality. Listed below are reasons why you should consider a degree abroad. Studying in a new country gives you the opportunity to witness an entirely different culture. Trying out the different types of local food and learning about the customs and traditions of your new home country is not something that you experience everyday. Studying abroad will leave you with fond memories and the chance to experience life overseas. Friendships you make with people when studying abroad will last you all through your university life and for years to come. Meeting new people is part of your study abroad experience and is something you will always cherish your entire life. One of the great things about studying abroad is being able to learn the local language. Students that have travelled and studied abroad found that by conversing with the locals on a daily basis, they were able to master the language alot sooner than expected. Learning the local language comes with several added advantages, for starters it makes you desirable to potential employers. By choosing to study abroad, you experience the joy of celebrating festivals different from the ones you have back home. Participate in the Easter egg hunt or indulge in a home cooked thanksgiving meal. Embracing different festivities enables you to learn all about the country you now call home. Traveling to neighbouring countries when abroad is the perfect opportunity to explore different parts of the world. Not only is it a great change in scenery, but traveling in between semesters is invigorating. "I am in touch with Edwise since a year now and they have always been very patient and helpful. It was really an awesome time for me with EDWISE.The information that they gave was very vital and also the queries were solved very nicely. GOOD WORK EDWISE! GOD BLESS"
"After visiting Edwise I got all the information on Singapore. The counselor was very friendly and cleared all my doubts. Right from my application, to visas and accommodation I got all assistance in a thoroughly professional way. I would recommend Edwise to all my friends looking for higher studies in Singapore. All the best and keep up the good work." "It has been a remarkable learning experience where I have been able to grasp the points of dealing with International admission. My expectations were not only met, but exceeded when it came down to the crunch issues of admissions and visa approval. The staff at Edwise is a warm, caring and a thoroughly professional lot." "I received my dream job here in Canada!. It was the first and only resume that i had sent out. I want to thank Edwise for placing me in the right institute which groomed me academically and made me job ready. I am very happy in my new position and lot of the credit goes to you and your staff. The process at Edwise has helped turn my life around." ""Edwise is an extremely professional and fast processing consultancy. My visa which wasn't getting sanctioned through the other consultant was very quickly sanctioned by Edwise.It was like a breeze that the process started and completed too. Apart from Visa the counselling, coaching and everything was carried out very well by edwise.Keep up the good spirit EDWISE!!"